There are a ton of different depictions of what the devil looks like ranging everywhere from having goat hooves and some weird lizard head, to looking like an actual human. It's got us all wondering if it's the same dude showing up in different forms, or if we just haven't quite found the right depiction, or maybe if there's just a ton of different looking evil people colored red running around. Fun fact, back in the medieval period, the devil could also be depicted as green and not just red or black. Even farther back he was associated with blue! Nowadays though, we want a solid red devil that everyone understands. Sometimes when wearing a costume though, you really don't want to have to worry about painting any of your skin a different color. Sure it washes off pretty easily, but it's still a bit of a hassle! Not to mention claws are pretty difficult to grow on your fingertips. 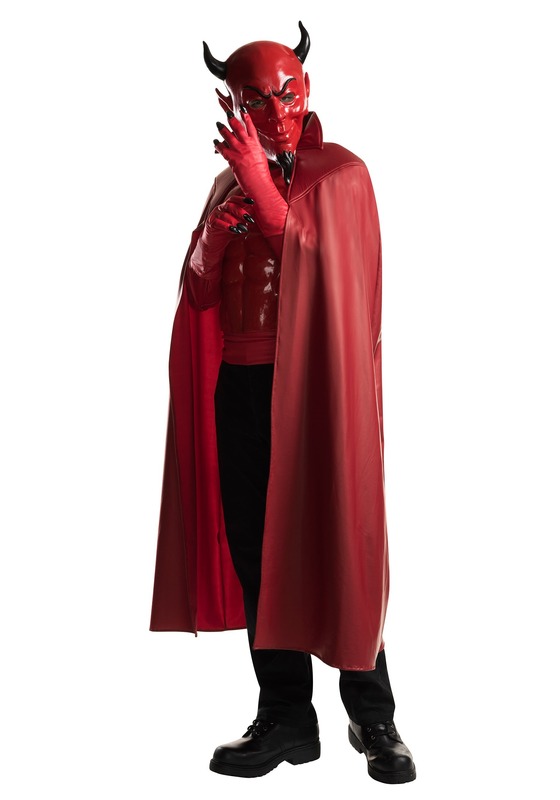 That's why these devil gloves are perfect for your root of all evil look.